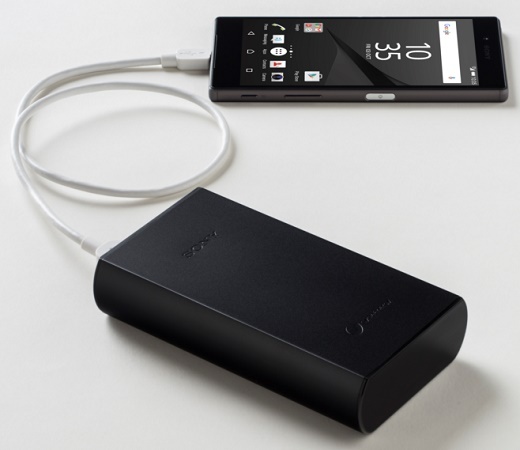 With the smartphone users constantly complaining of running out of charge, Sony has now launched two new power banks. Sony has announced the launch of two new power banks – one with a 15000 mAh capacity and the other with 20000 mAh capacity. Both the power banks are powered by a Lithium-ion polymer battery, and support pass-through charging, which allows the connected device as well as the charger itself to be charged at the same time. Interestingly, Sony claims that both the power banks can retain 90 per cent of its capacity even after 1000 cycles. The 15000 mAh power bank is priced at Rs. 5100 and is available in Silver and Black colour options. The 20000 mAh power bank is priced at Rs. 7500 and is available in Black colour. Both the devices are available exclusively on Flipkart.